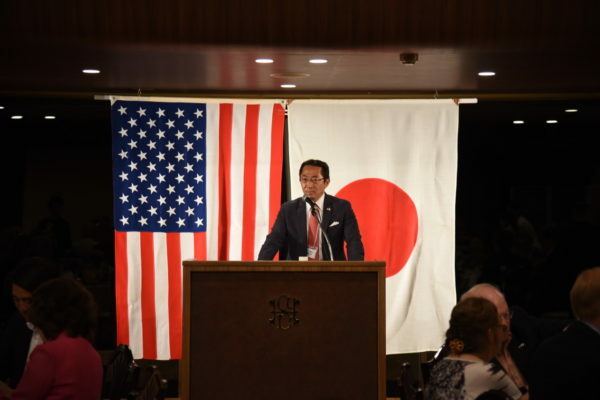 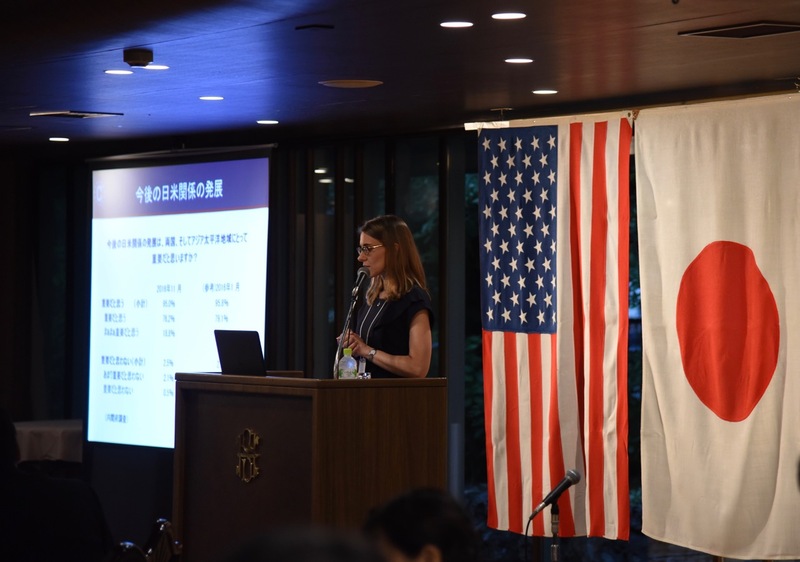 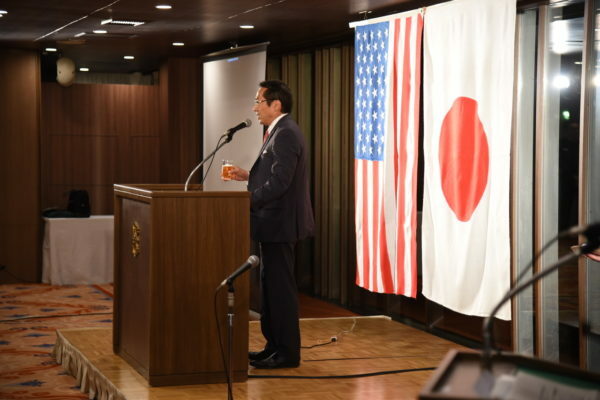 On July 27 at Park Terrace(at Sapporo Park Hotel), Rachel Brunett–Chen, Principal Officer of　the American Consulate General, Sapporo, gave a very informative and intriguing presentation on U.S.-Japan Relations for the Next Generation at the Evening Reception. Using clickers, audience members shared their views about the United States, the reasons for the recent decline in the number of Japanese youth studying abroad and the qualities young people will need to take on the challenges of living in an increasingly global society. Her presentation was warmly and well received by the audience that includes other guests from the Japan-American Society of Hawaii—Mr. 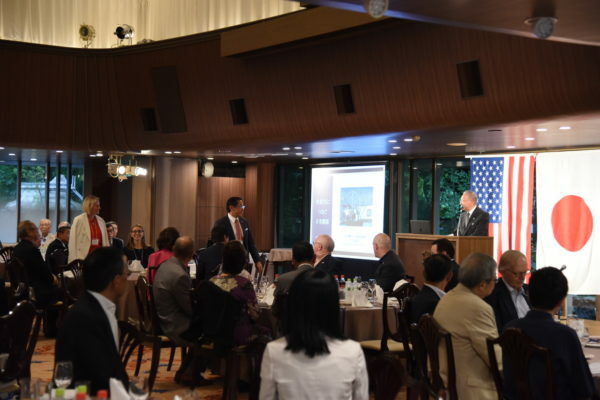 Sal Miwa, Chair of JASH and his wife Nancy. 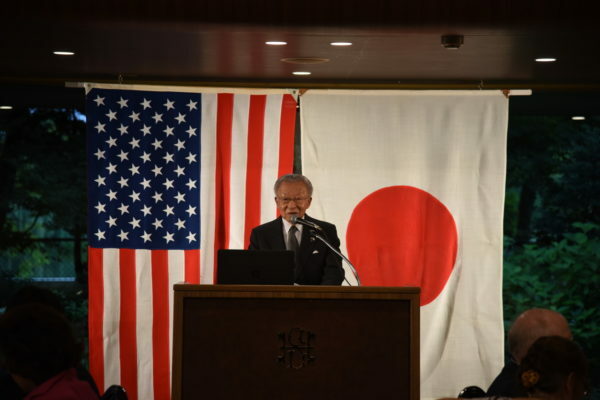 Additionally, Haruno Ogasawara, Vice Executive Director of the AJSH’s International Forum (IYF) introduced two youth members—Miki Yoshida and Shingo Ogiuda( a student at New York State University). We wish them the best of luck!